PlayGround Blog: 2014 Young Playwrights Contest! This same topic was given to PlayGround’s writers pool for the March 17 Monday Night PlayGround. We invite aspiring high school writers and theatre artists, currently enrolled in grades 9-12, to submit their own ten-minute plays inspired by this topic. The topic is intended as a jumping-off point and all forms of theatrical expression are encouraged. Submissions will be accepted until April 7th, 2014. Four plays will be selected as finalists and receive professionally staged readings concurrent with the 18th Best of PlayGround Festival in May. 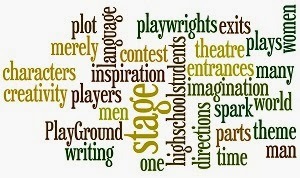 For complete guidelines, visit http://playground-sf.org/youngplaywrights. High school students from the Bay Area nine counties are invited to submit original short scripts inspired by the assigned topic by the deadline of Monday, April 7, 2014 deadline. The same topic was also assigned to PlayGround’s professional writers pool members for the March 17th round of Monday Night PlayGround in residence at Berkeley Rep.
Past Young Playwrights Project finalists include: Jake Rosenberg (Jewish Community High School of the Bay ’14), Alona Bach (Berkeley High ’11), and Hannah Sears (Urban School ’12). Difficile, difficilissimo imputare qualcosa alla sua Nazionale: contro ogni pronostico perde la possibilità di accedere al quarto di finale di un Campionato Europeo solamente a pochi minuti dal termine; fin lì se l'era giocata alla grande. La favola della Green and White Army rimane.